Astronomy Science ~ How big or How Small does the Earth when compared to other space object ? An astronomer named John Brady tried to reveal a scale objects in our galaxy with the continent up to our own planet. 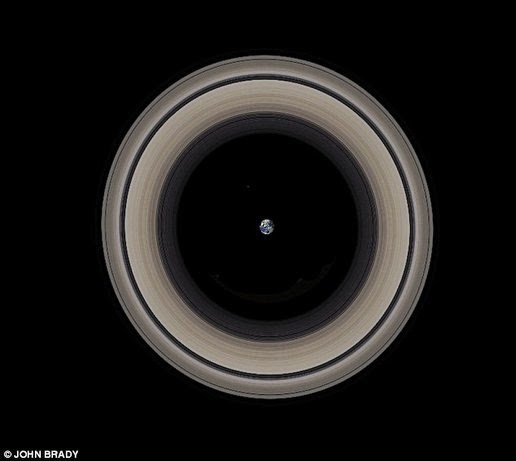 One picture shows how six Earth would fit across the width of the rings of Saturn. While Mount Olympus Mars has a size similar to the Arizona territory. "Most of the objects out there is quite large so it is difficult to imagine how big the size of them," said Brady in Central Astronomy website. 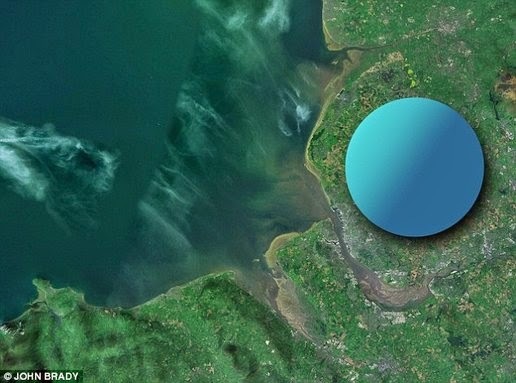 In the first picture, he shows how the neutron star's size is proportional to the northwest region of the United Kingdom, between Liverpool and Warrington. But despite the small neutron star, this object actually has a mass of about 1.5 times the mass of the sun. These objects are so dense, so 1 teaspoon of neutron star material can weigh billions of tons. 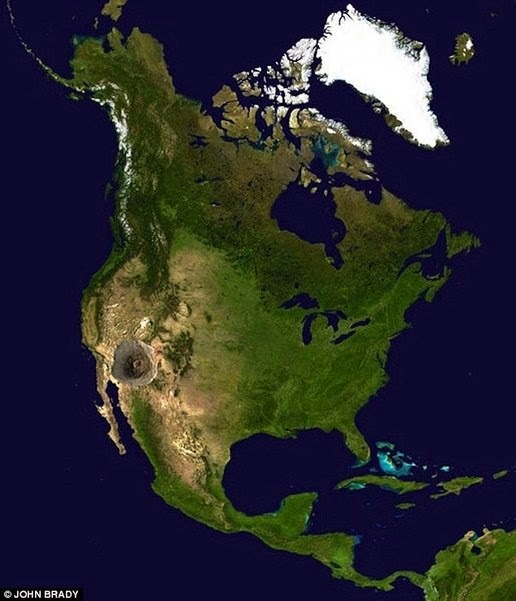 Olympus Mons volcano Mars Comparing with Arizona US territory. The second image shows how the Martian volcano Olympus Mons obscure region of Arizona. Located in the Tharsis Montes region of Mars, Olympus Mons is the largest volcano in the solar system. The mountain is three times higher than Mount Everest. 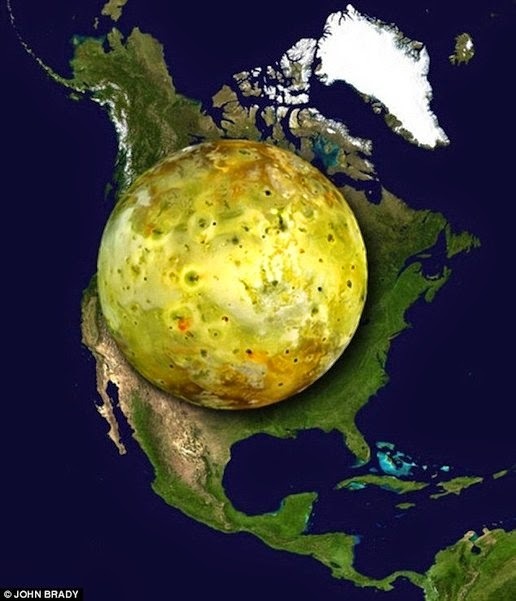 Meanwhile, Jupiter's moon Io covers almost the whole of North America. Io will fit in between San Francisco and Detroit. This month is known as the most active volcanic object in the solar system. Comparison of the size of Mars and North America. Mars is larger than North America and still leave a lot of empty space. 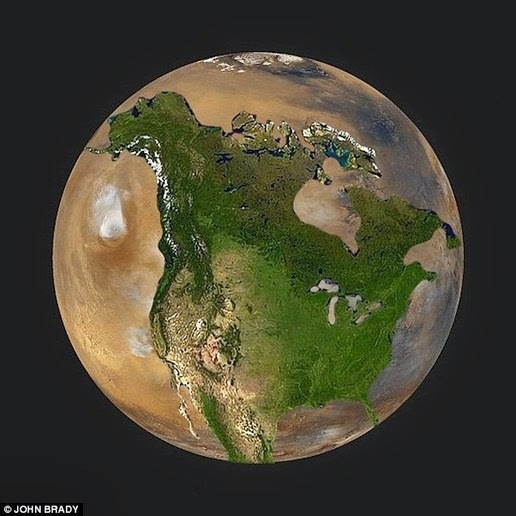 Mr. Brady then show how Mars, measuring half the size of our planet will comfortably cover the whole of North America with a lot of empty space. 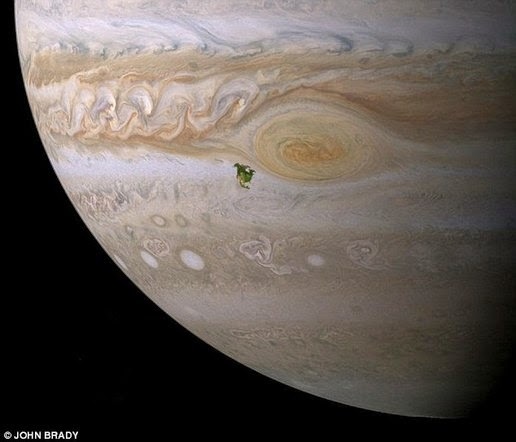 But when compared with Jupiter, North America will look small. Just looks like a stain near Jupiter giant storm. Even the diameter of our planet 11 times smaller than this giant planet that has 1,000 times stronger than on Earth. Mr. Brady then compare the Earth and Saturn. 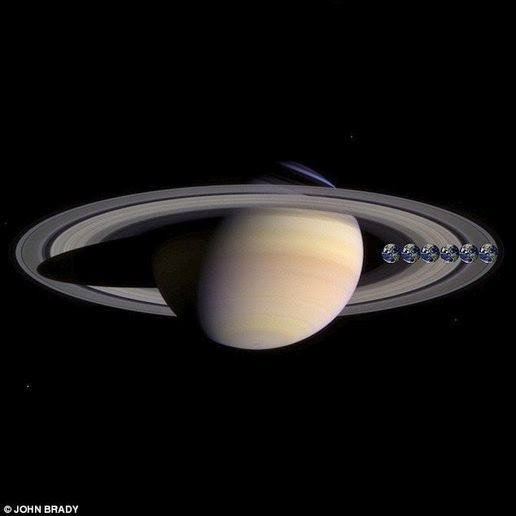 Our planet will fit in the width of the rings of Saturn if 6 pieces are arranged Earth. Saturn's ring extends 175,000 miles (282,000 km). And if we are in a position of planet Saturn, the Earth will be located in the center and a 41,600-mile (66,900 km) from the edge of the rings of Saturn. Comparison of the Earth to the Sun. 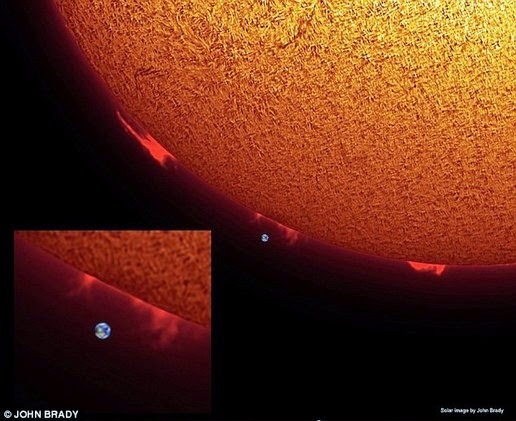 Compared to the Sun, our planet will look very small. The sun disc width can load 109 Earth if prepared and volume can contain 1,300,000 Earth in it. The sun can release energy in one second is stronger than all human energy ever produced in history. The sun also lost 4 billion tons of material into space every second but has enough material to last for five billion years. Solar Flare issued equal power a billion Hiroshima bombs.